It is easy during the hustle and bustle of your everyday life at the office to not think twice before throwing away something that could have been recycled. While it may seem like a hassle to make your office “green,” here are four simple steps your office can take to help improve your carbon footprint in the New Year. 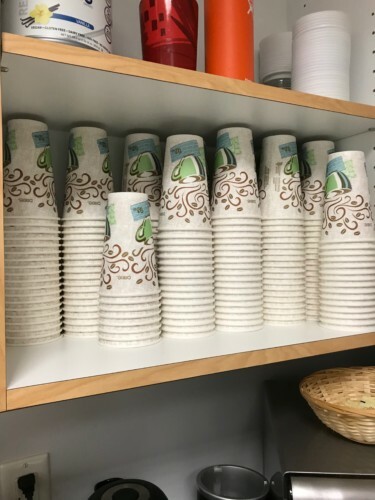 This might seem like an obvious one, and hopefully your office already has a recycling bin. However, a recycling bin is not the only thing your office needs. 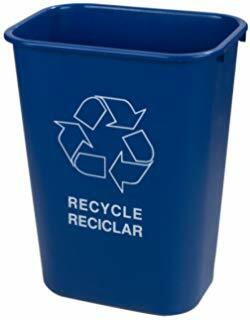 A common problem that occurs with recycling is people not knowing what exactly can be recycled and what can not. 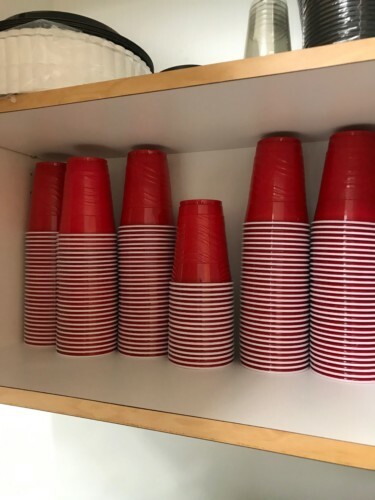 A good way to ensure that the right products are getting recycled is by having a guide above your trash and recycling cans, and giving examples of common items that can and cannot be recycled. That way you are getting the most out of the your recycling bin. A fun way to stop using paper cups for coffee is to bring one of your favorite mugs from home. This is a great way to show off the mug your kid made you for Christmas, or the mug your BFF got for you that says “I wish this was wine.” While you are at it, you may as well bring a couple mugs for those who forgot to bring their own. 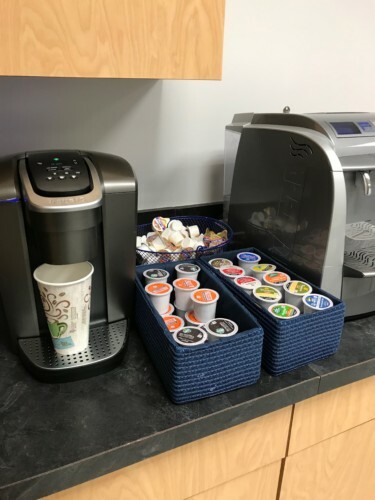 However, the best thing you can do when it comes to coffee, is to get rid of Keurig pods. These little plastic cups do not biodegrade and are not recyclable. They sell reusable pods that you can fill with coffee, or you could make the switch altogether to a good old fashioned coffee pot. Isn’t it always better to share a cup of coffee with a friend anyway? While plastic water bottles may seem convenient for your office, there are better and healthier options you can try. For instance, try switching to using a Brita filter and refilling it with tap water. This reduces the need for bottled water completely, and saves a lot of money. You can buy a reusable water bottle at nearly any store, or you can find one online. This is also a great chance to have branded drinking glasses for when you host meetings. What better way to drink water than out of something with your logo on it? Using paper is essential for most offices, and we know there are times when you need to print things out for work. However, one way your office can cut back on the amount of paper you use is to try to switch to a paperless system for meetings. Send out the agenda and documents in advance, that way everyone can review them and have them on their iPad or cell phone during the meeting. In addition, your office can try keeping a “paper only” recycling bin next to your printer so if there are blank pieces of paper or paper only printed on one side, you can reuse it for scrap paper or printing one-sided documents. Also be sure to ask everyone to switch their default printer setting to double sided. We hope you enjoyed these tips about four areas you can make some easy changes for a greener and cleaner office!